After a rest day, another flat day in the Tour, another bunch sprint, and another win for Mark Cavendish Andre Greipel wins! Yay for him, and yay for the Tour. There was another crash involving big names - Fabian Cancellara, Levi Leipheimer, Robert Gesink, and Christian Van de Velde - but fortunately they were all able to continue and didn't lose time. It was most excellent at the end to see Philippe Gilbert attack out on a break with Thomas Voeckler - how often do you see the yellow and green jerseys out on a break? - but they were inevitably sucked back into the peloton. A little more of an incline and perhaps a little better timing and Gilbert would have had a chance. Just got back from a hard ride, so it must be time ... filter pass! Once again, Paul Ryan takes on Obama. Amazon's CTO Werner Vogels on the Facebook / MySQL non-controversy: "scaling data systems in real life has humbled me. I would not dare criticize an architecture that the holds social graphs of 750M and works." Exactly. Way cool: how Leica lenses are made. Amazingly it is still a pretty manual process. 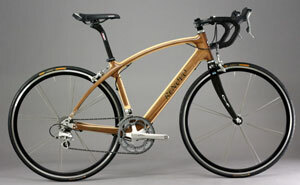 The progress made by 3D printing technology is amazing; here we have 3D-printed tools! It is amazing that the parts can be interleaved in three dimensions. And colored too! So I was wondering about whether I should use Google+? Eric Raymond is planning to use it for microblogging. Well that's all very exciting, we'll see whether it sticks. Mostly when people tried to use Twitter for that, they tried it but eventually went back. 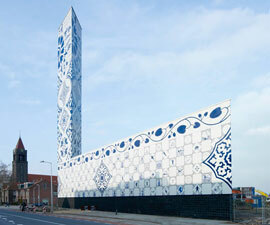 Well I had to link this: a Dutch powerplant completely clad in Delft Blau tiles. Awesome!